Impressive 4 bedroom Andalucian farmhouse in Colmenar Malaga. Great views and private pool. Popular 2 bedroom apartment near to all amenities Torrevieja, car hire not essential. The property has Wi Fi, air con, English TV,PS2, I Pod docking station. 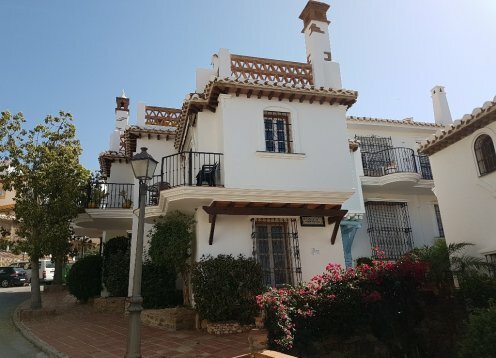 The apartment is located in a very quiet place in the prestigious area of Pinos de Alhaurin at only 15 min from the Málaga airport and 20 min. from Beaches. ideal all year round, mod con incl ac, pool, sea. close to holiday spots. golf. Luxurious 6 bedroom Villa for rent in Alhaurin El Grande . Spectacular and Very Special 6 bedroom villa over looking Alhaurin el Grande and Guadalahorce Valley. There is a large Beach affect salt water infinity pool.